This book analyzes the World Social Forum (WSF) in a context of crisis and transition in the history of Western capitalist modernity. Based on ten years of fieldwork on three continents, this book treats social movements as knowledge producers. It pays attention to what movements are doing and saying on the terrain of the WSF over time and from place to place, and to how they theorize its significance. Framed by the Latin American modernity-coloniality perspective, the book critically engages with discourses of global civil society, autonomism, and transnational feminism toward a reading of the WSF through the lens of ‘colonial difference’. 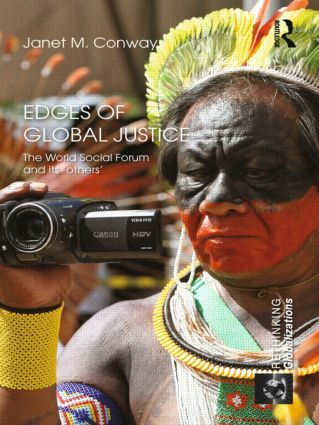 Each chapter outlines a set of contestations and contributions with relevance beyond debates about the WSF. It will be of strong interest to students and scholars of social movement studies; international politics; post-colonial studies; gender studies; sociology; political theory and social work. Janet Conway is Canada Research Chair in Social Justice and Associate Professor in the Department of Sociology at Brock University, Canada. This series is designed to break new ground in the literature on globalisation and its academic and popular understanding. Rather than perpetuating or simply reacting to the economic understanding of globalisation, this series seeks to capture the term and broaden its meaning to encompass a wide range of issues and disciplines and convey a sense of alternative possibilities for the future.